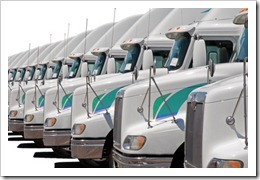 You are here: Home / Barcode scanners / Why on-site fleet fueling? Imagine you arrived at the dispatch office this morning and all your vehicles were fueled before drivers arrived. On your desk was a printed receipt with gallons fueled and odometer reading for each vehicle and you saved $.10/gal over pump prices. If that sounds like it might interest you, keep reading because on-site or mobile fleet fueling can drive savings directly to your bottom line. Fuel costs are an assumed operating expense, but many companies only look at their monthly fuel bill and try to figure out how to get drivers to use less or pay less at the pump. They don’t consider the total cost of fueling and fuel management. If your drivers fuel their own vehicles then you pay for the time and mileage for a driver to get to the pump and to pump fuel into their vehicle. That’s time the driver is NOT spending delivering your products or service. You’re trusting the driver to accurately record the gallons, the odometer reading and NOT wait or linger at the pump. Compare this to on-site fleet fueling. The fleet fueling driver arrives at your facility and pulls up to the first vehicle. He scans the vehicle’s barcode which confirms the type of product the vehicle uses (dyed diesel, clear diesel or gas). The handheld prevents him from putting in the wrong product. He records the odometer reading of the vehicle. He fuels the vehicle and his handheld wirelessly reads the fuel truck’s meter – no back and forth to his truck and no writing meter readings on paper. He quickly moves to the next vehicle and scans it’s barcode, following the same procedure. 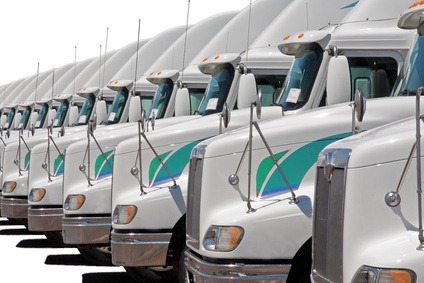 When all vehicles have been fueled, he gets your signature on the handheld and prints a legible receipt with the details for each vehicle: truck ID, gallons, odometer and product. You receive a weekly, monthly or quarterly report and electronic file of fuel usage by vehicle. ‘Okay, I see there’s benefits but what is the ROI with on-site fueling?’. Let’s assume you use an average of 20 gals/day per vehicle and your fuel is $4/gal. Driver time savings – you’re paying your driver to fuel your vehicles, not deliver your products. If it takes 15 minutes per vehicle and your driver’s loaded cost is $25/hr, you paid $6.25 on top of your fuel cost. You paid an extra $.31/gal on top of the pump/rack price. Mileage – the loaded cost per mile averages $2.50-3.00/mile (vehicle, labor, fuel, etc.). If you drive an extra 3 miles to fuel you vehicle, you paid $9 in transportation costs. You paid an extra $.45/gal in transportation costs. Environmental – if you use an on-site storage tank and have your drivers fuel at your facility, you now have the environmental liability of the storage tank. Additionally, if your drivers spill while fueling then you have the environmental reporting responsibility and have to ensure your drivers know what to do for HazMat. Better fuel control– fuel is an expensive commodity. Drivers can pump into their own vehicles/containers, not turn in fueling receipts or report inaccurately to improve their metrics like miles per gallon. Taking the driver out of the equation reduces theft and improves accuracy. Fuel price management – as specialists in fueling and fuel management, on-site fueling companies can leverage purchasing, pricing and hedging across multiple customers to provide savings and price predictability. Tax savings – for equipment or vehicles that stay in your yard, you can eliminate road taxes by getting detailed fueling reports on a per asset basis. This is especially helpful in areas like refineries or food distribution (refrigerated trailers) where there may be a large number of vehicles or trailers that never go on the road. If you’re interested in on-site fueling, you should look for companies that automate the process with wireless handhelds so they can read meters electronically. This eliminates hand written errors, calculation errors and provides you with the confidence to know your fueling records are accurate for proof of delivery. The best run on-site fueling companies use BizSpeed’s goRoam.BulkDelivery handheld system. Contact us to find an on-site fueling provider near you. That’s a good point that you save time and money by using on-site fleet fueling because you don’t have to pay your drivers to go and buy the fuel on their own. I’ve always thought that fuel delivery sounded like a good idea because of the time savings, but now I can see that you actually save money as well because it doesn’t go into the salary of the workers. I want to learn more about fuel delivery because I am in a supply chain class that is focusing on transporting of commercial goods, and I think understanding the money and time savings of fuel delivery could help me in my class.